Attorney General William Barr admitted on Wednesday that the Obama administration 'spied' on President Trump, and has vowed to get to the bottom of it. 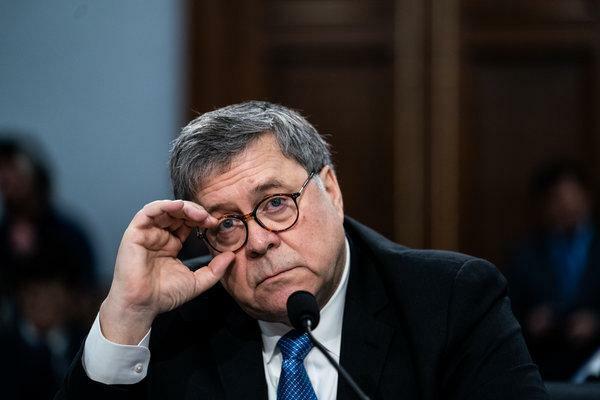 "I am going to be reviewing both the genesis and the conduct of intelligence activities directed at the Trump campaign during 2016," Barr told lawmakers, according to The Hill. "A lot of this has already been investigated and a substantial portion that’s being investigated is being investigated by the inspector general of the department." Barr later clarified his earlier comment, saying that he was concerned "improper surveillance" may have occurred during the 2016 election, and he will be "looking into it." "I am not saying that improper surveillance occurred. I'm saying that I am concerned about it and looking into it. That's all," Barr clarified. "That is one of the questions I have, that I feel normally the campaign would have been advised of this," Barr said to Sen. Lindsey Graham (R-SC). "I just want to satisfy myself that there was no abuse of law enforcement or intelligence powers." Barr pointed out that two former US attorneys linked to the Trump campaign - Chris Christie and Rudy Giuliani - weren't notified of any investigation. "I just want to satisfy myself that there was no abuse of law enforcement or intelligence powers," Barr told Graham - though he insisted he was not "launching [an] investigation into the FBI." "To the extent there are any issues of the FBI, I do not view it as a problem that is endemic to the FBI," said Barr - adding that there were likely "failures" by the bureau's top brass. "If it becomes necessary to look over some former officials’ activities, I expect I’ll be able to heavily rely on Chris," said Barr - referring to FBI Director Christopher Wray. "I believe I have an obligation to make sure government power is not abused." As we noted on Tuesday, Barr's team may want to investigate exactly how information flowed from a self-professed member of the Clinton Foundation - Joseph Mifsud - to Trump campaign aide George Papadopoulos in March of 2016, who learned during the encounter that Russia had "dirt" on Hillary Clinton. Papadopoulos would later tell Australian diplomat Alexander Downer about the so-called Clinton dirt, which resulted in the launch of "operation crossfire hurricane," the code name for the FBI's counterintelligence investigation against the Trump campaign. In September 2016, the FBI would send spy Stefan Halper to further probe Papadopoulos on the Clinton email allegation, and - according to an interview with pundit Dan Bongino, Papadopoulos says Halper angrily accused him of working with Russia before storming out of a meeting. Of note, Halper was hired by the Defense Department's Office of Net Assessment for $244,960.00 on September 15, 2015. Overall, the Obama DoD paid Halper more than $1 millionstarting in 2012. A massive thread on the entire 'setup' can be seen here.